We support our clients to implement changes that increase the efficiency of the organization. We offer clarity and consensus on what should be achieved, knowledge of people and organizations in change and tangible positive results. It took about a year to plan and implement the change of drug supply to health care in Stockholm County. 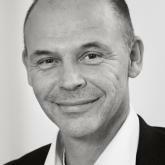 Örjan has extensive experience working in business development and IT, and project management. The opportunity to work with Value Management made Örjan join Grandezza. This in addition to his broad experience in business development makes Örjan to a very skilled and experienced consultant.